Lake Balboa neighborhood as mapped by the Los Angeles Times. Van Nuys Airport is on the right. Lake Balboa is a district in the San Fernando Valley region of the city of Los Angeles, California. There was debate about the official recognition of Lake Balboa as a community by the city of Los Angeles. In January 2006, that the city of Los Angeles adopted a formal community naming process (City of Los Angeles Council File Number 02-0196). This debate had important implications for the official existence of many other Los Angeles communities that were created prior to January 2006. These communities include Arleta, North Hills, Porter Ranch, Valley Glen, Valley Village, West Hills, Winnetka, and many others. The neighborhood was considered "highly diverse" ethnically within Los Angeles. The breakdown was whites, 49%; Latinos, 34.1%; Asians, 8.8%; blacks, 3.5%; and others, 4.6%. Mexico (26%) and El Salvador (14.8%) were the most common places of birth for the 31.8% of the residents who were born abroad—a high percentage for Los Angeles. The median yearly household income in 2008 dollars was $65,336, considered average for the city and county. Renters occupied 34.1% of the housing stock and house- or apartment-owners held 65.9%. The percentages of households that earned $40,000 to $125,000 a year were high for the county. The Los Angeles River southeasterly to where US-101 and I-405 meet. 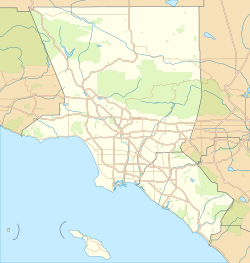 These new boundaries were the compromise plan worked out with Los Angeles City Council members Greig Smith (CD12) and Tony Cardenas (CD6) that kept Van Nuys Airport and the predominantly industrial area north of Saticoy Street east of the airport in Van Nuys. Lake Balboa is flanked on the north by Northridge, on the east by Van Nuys, on the south by the Sepulveda Basin and on the west by Reseda. 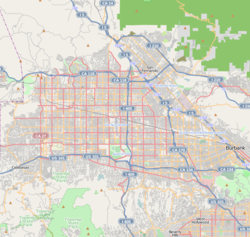 Its street and other boundaries are Roscoe Boulevard on the north, Balboa Place, the Van Nuys Airport, Hayvenhurst Avenue and Odessa Avenue on the east, Victory Boulevard on the south and White Oak Avenue on the west. MGA Entertainment, a toy maker, has its headquarters in the Lake Balboa area. Lake Balboa pond in Anthony C. Beilenson Park. Lake Balboa Park, or Anthony C. Beilenson Park — an 80-acre (32 ha) recreation facility in the Sepulveda Basin Recreation Area, named for Anthony C. Beilenson. The only staff members at the park are lifeguards. The centerpiece of the park is the 27 acres (11 ha) Lake Balboa, filled with water from the Tillman Water Reclamation Plant. The park has barbecue pits, a bicycle path, a cascade, a children's play area, a fly fishing area, a 1.3 miles (2.1 km) jogging path, a lake for fishing (swimming is prohibited), a launch ramp, pedal boats, picnic pavilions and picnic tables, private boating (only boats without motors are accepted, unless the boats are for electric trolling), a remote control boating cove, and toilet facilities. Japanese cherry blossom trees are located in the park. Parking lots exist at the park The parks and recreation department dedicated a universally accessible playground, a playground designed for handicapped and non-handicapped children, at the Beilenson Park on Monday, June 9, 2008. The Japanese Garden — a contemporary Japanese garden in the Sepulveda Basin Recreation Area, at the Tillman Water Reclamation Plant. Sepulveda Dam Recreation Area Bike Path, in the Sepulveda Basin Recreation Area. Woodley Park — in the Sepulveda Basin Recreation Area. It has an Apollo 3 Flight Field, an archery range, barbecue pits, an unlighted baseball diamond, a children's play area, cricket fields, picnic tables, toilets, and a wildlife nature preserve area. It is unstaffed and unlocked. In addition two pocket parks are located in Lake Balboa. Jesse Owens Mini-Park, a 1.74 acres (0.70 ha) park, with toilet facilities. It is unstaffed and unlocked. Louise Park, a pocket park with barbecue pits, a lighted baseball diamond, unlighted outdoor basketball courts, a children's play area, and picnic tables. It is unstaffed and unlocked. Orange Line Bikeway, along the landscaped Los Angeles Metro Orange Line route from North Hollywood to Chatsworth. The Los Angeles Fire Department Station 100 West Van Nuys/Lake Balboa, located in Lake Balboa, serves Lake Balboa. The Los Angeles Police Department operates the West Valley Community Police Station in Reseda, California, serving Lake Balboa. The United States Postal Service Van Nuys Post Office is located at 15701 Sherman Way in Lake Balboa. Twenty-five percent of Lake Balboa residents aged 25 and older had earned a four-year degree by 2000, an average figure for both the city and the county. ^ a b c d e Map Archived 2012-02-18 at the Wayback Machine. Lake Balboa Neighborhood Council. Retrieved on December 6, 2008. ^ "Contact Archived 2009-08-22 at the Wayback Machine." MGA Entertainment. Retrieved on December 4, 2008. ^ Home page." Lake Balboa Neighborhood Council. Retrieved on December 26, 2009. ^ a b "Lake Balboa". City of Los Angeles Department of Recreation and Parks. Archived from the original on September 19, 2012. Retrieved September 27, 2012. ^ "Lake Balboa/Anthony C. Beilenson Park." City of Los Angeles. Retrieved on March 19, 2010. ^ "Lake Balboa/Anthony C. Beilenson Park (formerly Balboa Park)." City of Los Angeles. Retrieved on March 19, 2010. ^ "Woodley Park." City of Los Angeles. Retrieved on March 19, 2010. ^ "Jesse Owens Mini-Park." City of Los Angeles. Retrieved on March 19, 2010. ^ "Louise Park." City of Los Angeles. Retrieved on March 19, 2010. ^ "Neighborhood Fire Stations." Los Angeles Fire Department. Retrieved on March 19, 2010. ^ "Fire Station 100 Archived 2007-08-09 at the Wayback Machine." City of Los Angeles. Retrieved on March 19, 2010. ^ "West Valley Community Police Station." Los Angeles Police Department. Retrieved on March 19, 2010. ^ "Post Office Location - VAN NUYS." United States Postal Service. Retrieved on December 6, 2008. This page was last edited on 29 March 2019, at 09:08 (UTC).